Reston Association and residents who live in neighborhoods across from South Lakes High School are increasing their efforts to bring awareness — and hopefully, action — about stormwater runoff eroding the land nearby. 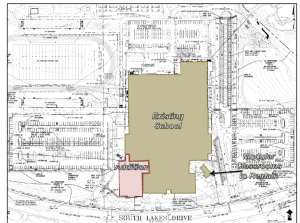 Water from the school area runs under South Lakes Drive to a steep, downhill drainage ditch that runs between Cedar Cover Cluster and Wakerobin Lane into Lake Audubon. 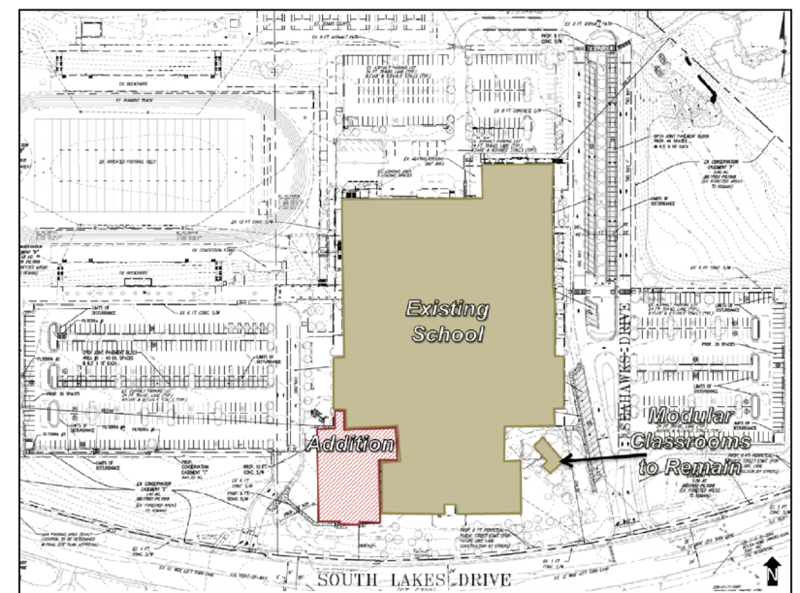 Fairfax County Public Schools officials say a planned 40,000-square-foot addition, as well as more than 100 additional parking spaces, will not add to the stormwater runoff. Residents say they have dealt with soggy ground for years, and they expect the planned addition for the high school will only make the problem worse. Meanwhile, the school system applied for and received a waiver to meet updated runoff regulations, rather than new ones that went into effect last summer. 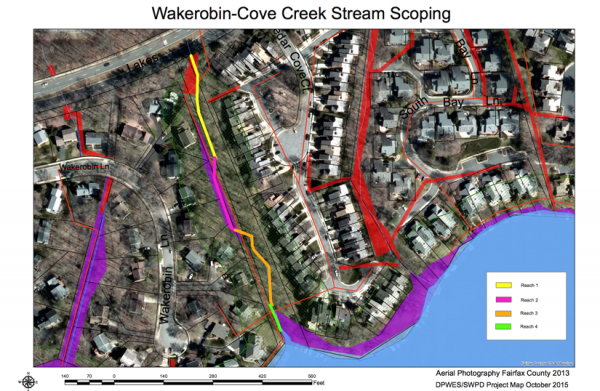 “Residents of Wakerobin and Cedar Cover Cluster have been plagued for more than two decades with the ever-growing ditch between our two developments,” Terry Maynard, a Wakerobin resident, told the RA Board in December. Maynard pointed out that the now six-foot deep ditch has left water and sewer lines exposed. That led to a rupture in the sewer line there in July, which discharged approximately 100 gallons into Lake Audubon. Since then, the sewer line has been patched, and Fairfax County is examining how to permanently repair the line and manage the erosion. A recent County Scoping Study also found that the drainage ditch should be a high priority for repair. Reston Association concern about the issue is growing, and there will likely be more formal action taken at RA’s January meeting. But RA may have the right to see increased runoff into Lake Audubon as a trespass on its property, the EAC says. Meanwhile, RA President Ellen Graves has sent a letter to FCPS School Board Chair Pat Hynes (Hunter Mill) outlining RA’s concerns. “As a model school system in the Commonwealth, and perhaps the country, it is hard to believe that all County school additions and renovations do not strive to become the model of responsible and progressive best management practices, particularly with regards to environmental concerns,” Graves wrote of the SLHS possible impact on stormwater and the outdated rules it is following.